Save A Sample! 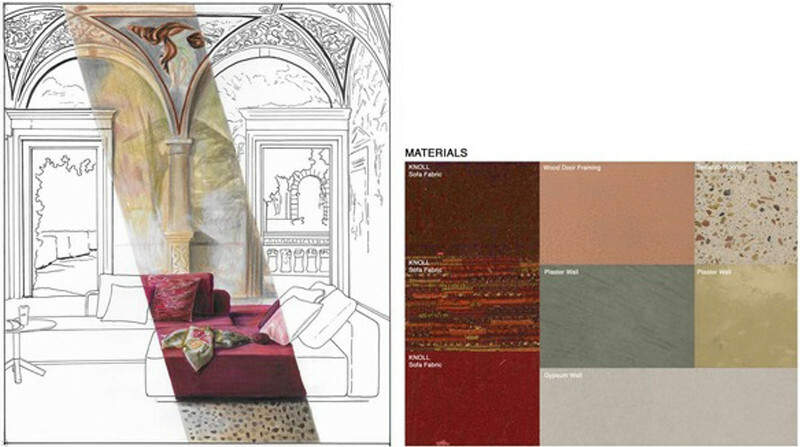 helps firms reuse product samples by delivering them to architecture and interior design schools. 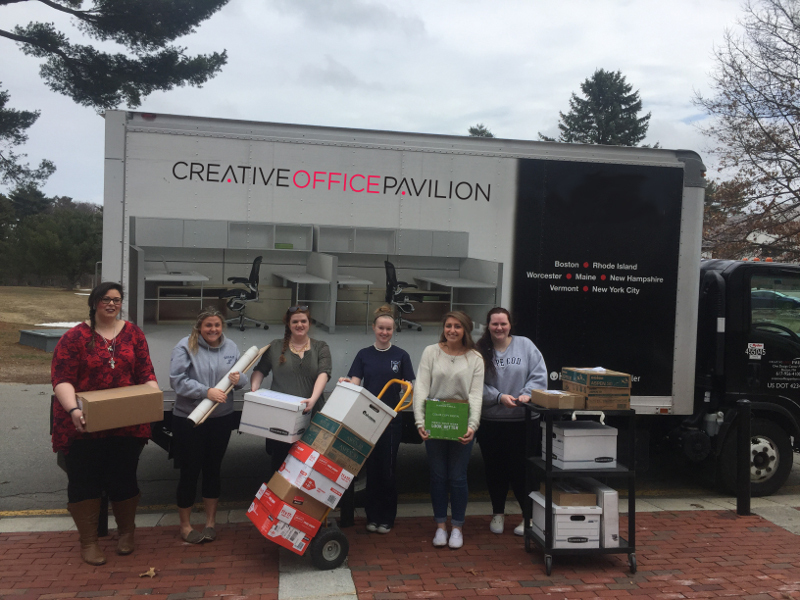 Design students at Mount Ida College receive samples from Save A Sample! in 2015. Nearly twenty years ago, Suzanne Swift’s company, SpecSimple.com, faced a challenge. The company sets up and maintains resource libraries for architectural and design firms. Ultimately the materials become outdated and need to be replaced. Firms were accumulating boxes and boxes of design samples they wanted to get rid of, including wood, wall coverings, small stones, cork, and other flooring samples. At the time, Swift was part of a design school initiative and was learning how difficult it was for students to get materials. So, she brought together people who needed to get rid of stuff with those who could use it: architects with design students. She also invited a third partner: furniture dealers who provide trucks and drivers to pick up the boxes of samples from firms and deliver them to schools. Today, 150 firms and 25 schools participate in Save A Sample! in ten U.S. cities and five in Canada. Everything happens locally. Nothing is shipped. The project can’t deliver heavy items such as hefty stones or large glass samples, which might splinter. Hand drawing by Selin Gok, a student from Pratt Institute. Gok was the Grand Prize winner in the 2017 Save A Sample! competition. The Save A Sample! nonprofit is funded this year by Formica. Perkins+Will is the design firm partner and helps publicize the event. Save A Sample! also holds a hand drawing competition each year. Students submit a rendering and a materials board to illustrate how the samples were used. Architecture and design firms in New York judge the work. The winners receive between $250 and $1,000 in scholarship funds. Save A Sample! has awarded more than $100,000 in scholarships since its inception. Please advise if there is some way to recycle wall board in the Cincinnati area as I've not found any.